Great ideas, but impossible to be taken up by government because it doesn’t fit into the marketing strategy. Kaye, at 64, struggling to find a medication that doesn’t devastate my quality of life, frankly I’d love to retire. But I quite simply can’t. No social housing available, I’d be homeless. Not really, as I could temporarily live with my daughter, but I hate imposing on their life. Today is a rough day, admittedly – this new medication (3rd in 4 years) is causing me to feel emotionally fragile. Badly. I don’t yet qualify for the whiz bang biologics under our PBS rules. Enforced suffering. There is heaps I could do to contribute in the ways you discuss, if survival wasn’t my overriding daily consideration. I am sorry to hear about your health issues Robyn. That is another thing that we, in our 60s, often have to deal with as well. 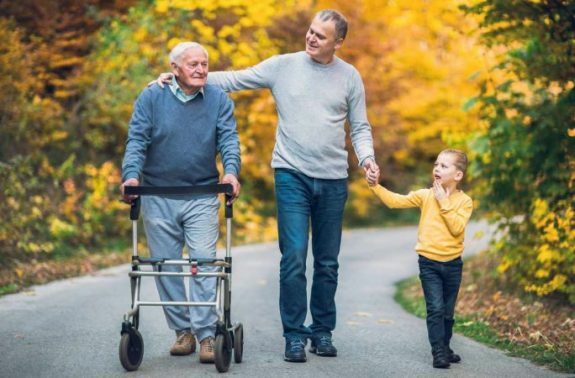 I don’t have the answers but the conversation should be about how we support all in our society to make their best contribution – how we best help them start, how we facilitate their participation, and how we live a life of dignity as we grow older. THEN we can talk about how we gear the economy to achieve that. That’s what they voted for in NSW, Robyn. Has one noticed over the last few years the behaviour of the economy appears to have no connection with the leaders of many countries. We have Morrison, US, Trump. UK in throes of Brexit disaster. Leadership problems in many other countries. The economy moves on regardless. The first neoliberal lie that must be challenged is that governments cannot create jobs, that only the private sector can. Rather than simply increasing the aged pension, to really value those in caring and in volunteering roles HOW about we have a Job Guarantee Program, these activities would clearly fit into a Job Guarantee Program which would see them paid the minimum wage and ALSO have all the same rights and protections as if employed in the private sector (including workcover, superannuation, etc), which is something that doesn’t occur under the umbrella of volunteering. PK65: absolutely! The private sector will NEVER employ all who want to work, leaving hundreds of thousands out of work and dependent on iinadequate income support in what is supposedly a “strong economy”. A Job Guarantee is the only non-neoliberal approach to tackling this very much soluble program.